Description Photo courtesy of John Jaeger. Sign reads: "Lake Grove School NO 135 Apr. 28. 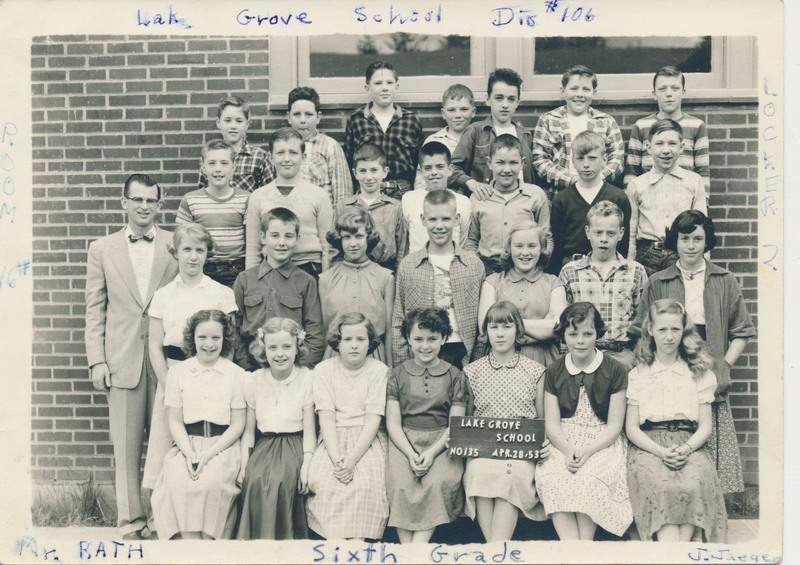 53" John is in back row, fifth from left with his hand on the shoulder of the boy below him.